Amigurumi is my favorite area of crochet to work in, hands down! It can look overwhelming but it easier than it seems. Stay tuned for my Amigurumi Tips page coming soon where I will break down the most common areas of learning amigurumi. To get started, you need the right tools and materials (most of which you probably already have). Be sure to check out my Tips to Learning Amigurumi page as well, I have compiled mini tutorials to cover the basics! The questions get ask a lot, what is the best yarn to use for amigurumi? Best safety eyes? What makes the process easier? 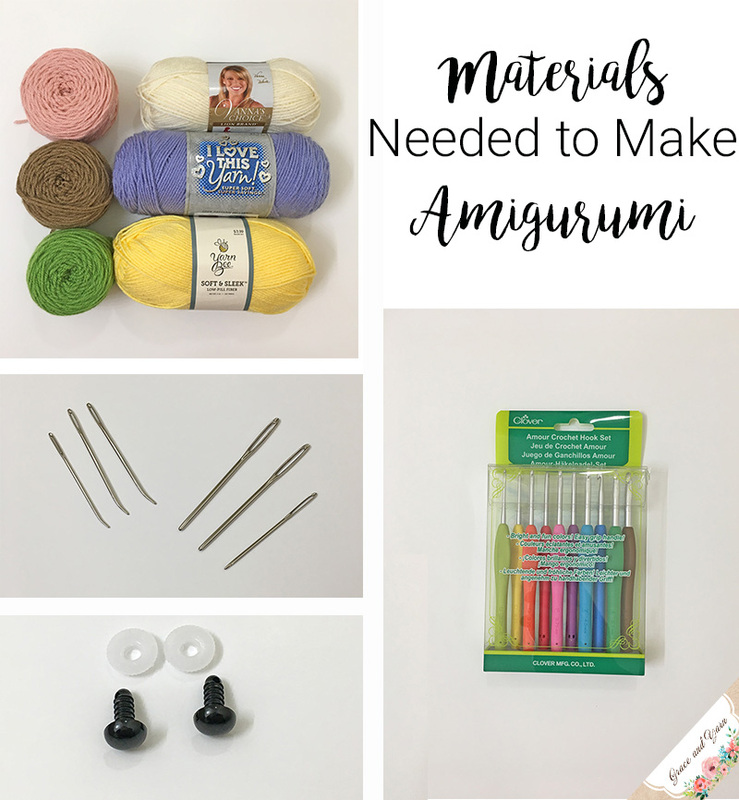 I've compiled this post with all of my favorite items to make amigurumi, hoping to answer all of these questions. Some are essential and others are nice and handy to save us some time. PIN it here to come back to later! This post will cover yarn selections, hooks, needles, stuffing, safety eyes and fun gadgets that save us time! It contains my personal opinion from my experience as I learned amigurumi! If you would prefer a sweet and simple list, feel free to scroll to the bottom. I've made it nice and organized! If you'd like more information on each item keep reading, I have you covered! 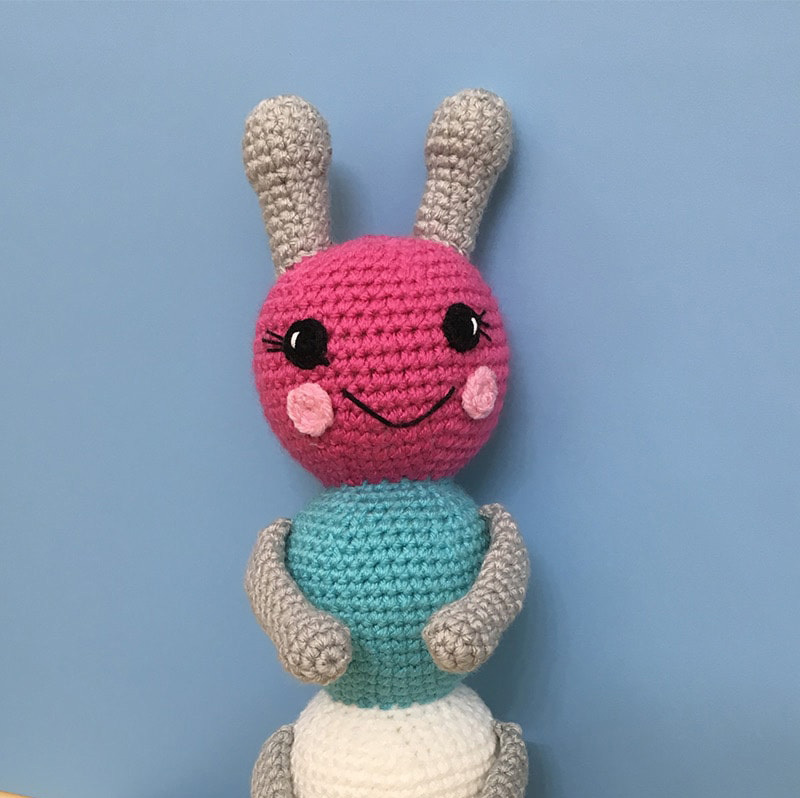 If you have questions, we have answers and are happy to help whether you are new to amigurumi or experienced and looking for some inspiration. Join the Grace and Yarn Crochet Group on Facebook and connect with others who have a passion for crochet! How important is the yarn you choose? It can vary, you want one that will hold up to hours of play time and not become too 'fuzzy'. Hobby Lobby I Love This Yarn (I use this the MOST) - I like it because it's durable, soft and comes in many colors! Lion Brand Vanna's Choice - This yarn is a little bit thicker but still in the size 4 category and works really well for amigurumi. It holds up to long hours of play and is fairly soft. They also have a decent color selection, I used beige for my Berry Patch Bunnies pattern! Yarn Bee Soft and Sleek - This is also a Hobby Lobby brand and I have just recently started using it. I love it! It holds true to it's name soft and sleek. The label also said that it was low-pill (we love that in amigurumi)! I used it for the yellow duck in my Amigurumi Duck pattern. I love how it works up, the only downside is it doesn't come in a wide variety of colors. Red Heart Super Soft - This yarn is soft as it's name entails. 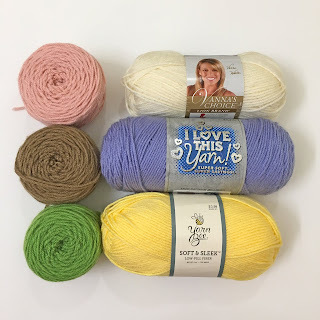 While it isn't my favorite yarn to use (makes my nose itch when I use it, I know so weird but being honest here), it can be more cost effective as far as regular price goes and is easily available at most stores. Caron Simply Soft - Beautiful assortment of colors here and cost is good (especially with coupons). In my experience it becomes 'fuzzy' a little bit faster than the other yarns listed above, so I don't use it as often. It has a wonderful soft and silky feel to it as you crochet making it easy to work with. I Love This Cotton Yarn - Some prefer to use cotton when making amigurumi. For those with allergies or skin sensitivity sometimes this can be a better match. This is my favorite cotton yarn to use. It's soft and comes in great colors! Being a thinner yarn compared to others on this list I would go down a hook size so that your amigurumi projects stay nice and tight. These are the yarns I have experienced using in the last few years. Please leave a comment below if you have a favorite that I haven't listed here! The most important part of selecting your hook is that it's comfortable. If you crochet a lot you may want one that is more ergonomic to fit your hand. When I first started amigurumi everyone was raving about the Clover Amour Hooks. I looked them up and they were expensive! At least for what I usually spent on hooks. I ended up buying these ergonomic hooks instead. They got the job done but after a few months the metal hook would slip out of the rubber casing. Not a big deal, I'd just slide it back down. For the price, they do what they need to! When I was finally convinced to try the Clover Amour Hooks, I bought one hook to try it out in my favorite size. You guys, I loved it so much I ordered the set that week! My hands have felt a lot better (keep in mind I crochet at least a little every day). Etsy is also a great place to check for a large variety of handmade and fun detailed hooks to try! This section is short and sweet! 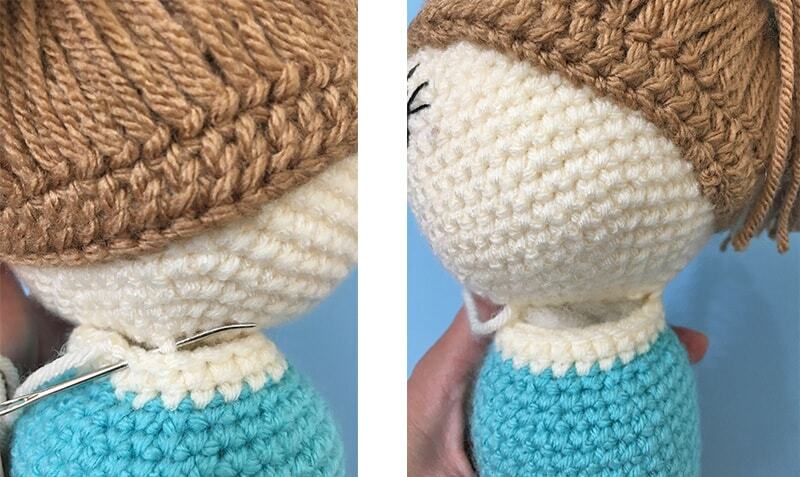 Crochet needles are needed in amigurumi for sewing on body parts and weaving in ends. There are straight needles and bent tip needles. Both work great (I have a set of both so I have what I need when I need it). The ones I use the most are the bent tips. It makes it so much easier to get into that one stitch and out the other side! There are two main products for stuffing (at least in my area), Poly-Fil and Morning Glory. I'll keep this one short and sweet too, Poly-Fil is more cost friendly but Morning Glory is much softer to work with and your 'stuffies' will keep their firmness longer. I like to save money and I love sales. Morning Glory is more expensive but it's my favorite, I recommend checking around for the best price and sales (WalMart and Amazon are usually my go to places). First to say (most of you know) that plastic safety eyes are not recommended for children under 3. I have a crochet thread eye tutorial in 4 popular sizes if you would like an alternative (I used them in the Cuddly Caterpillar and love them!). I bought one skein of black crochet thread and I think it will last me forever for how little yarn the eyes use up! Darice is a great brand to work with as well as 6060Eyes on Etsy. Amigurumi is worked in a continuous round. Using a stitch marker indicates where each round starts or ends so that you don't lose your place or count. While stitch markers are needed for amigurumi, there are free ways to use one too. I like using a scrap piece of yarn. Bobby pins and safety pins work great too! 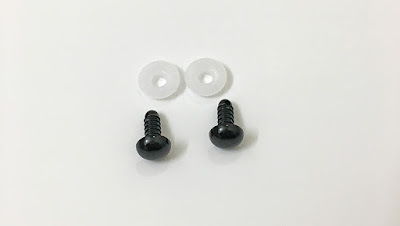 These are not necessary for making amigurumi, but each can make the process of amigurumi a little easier or faster! Clover Yarn Cutter - This comes in handy and is always at arms reach, quite a neat idea I love it! I hope you have found this post helpful! Now that you have your materials, feel free to check out my other patterns here on the blog. Each are full tutorials available for free! 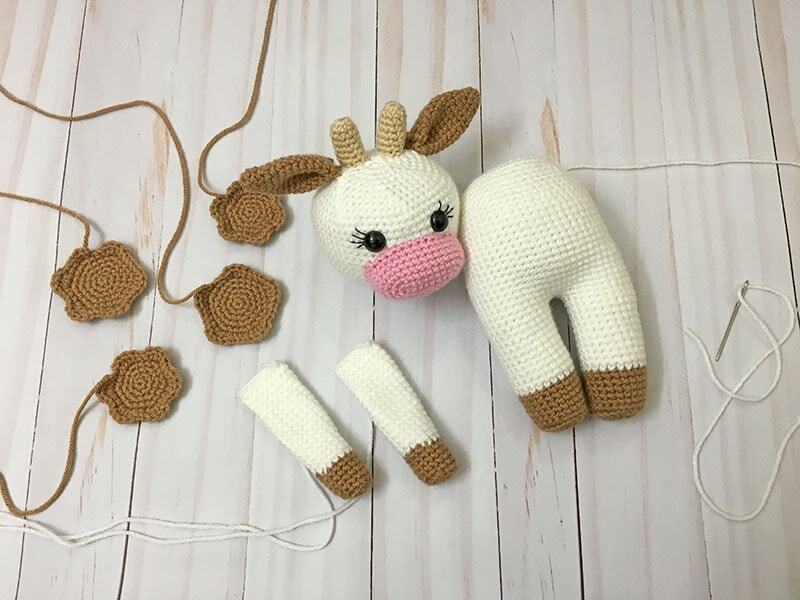 Have I forgotten something you love to work with in amigurumi? Please share in the comments! I will update this from time to time to make sure it is current for you!